At Corsican Places, we’re delighted to be able to offer our customers direct flights to Corsica from three, London-based airports. All our London flights depart on a Sunday, and we fly with British Airways, Titan, easyJet and bmi Regional so that you have plenty of choice. 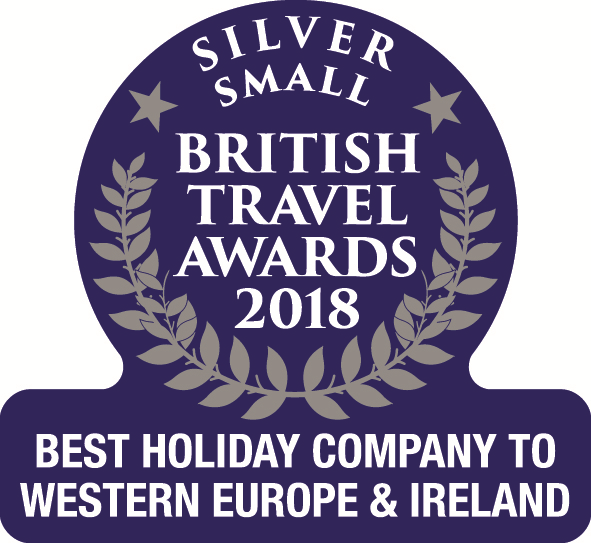 We cover all four of the airports on Corsica - Calvi, Bastia, Figari and Ajaccio, so you can explore each and every region, and we’re proud to be the only tour operator in the UK offering direct flights into Calvi from Stansted. 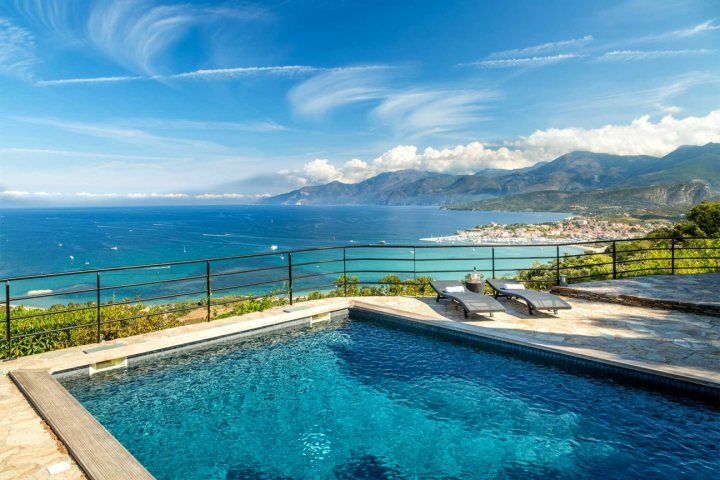 So, whether you’re looking to explore the beautiful beaches in the south, the rugged interior or the mountainous northern Cap Corse, Corsican Places can get you there. From Gatwick, we offer flights with easyJet into Bastia and Ajaccio, meaning you can explore both the northern and southern regions of Corsica at ease. 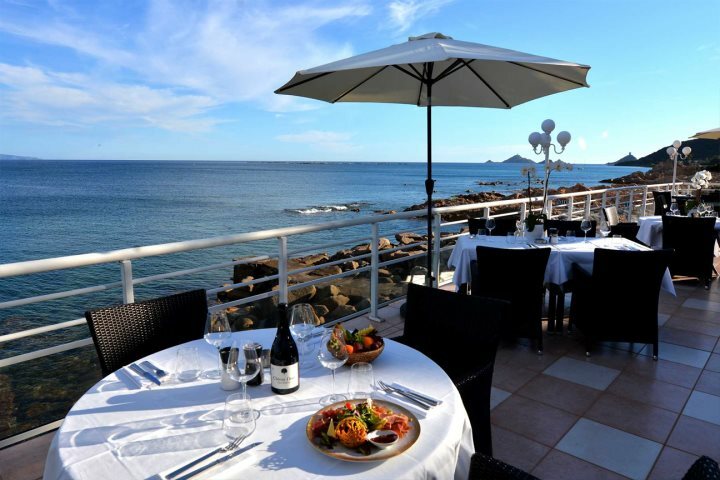 With a fantastic variety of properties to choose from, you will be able to enjoy the likes of Hôtel Dolce Vita in Ajaccio, with its stunning sea views and contemporary guestrooms, or perhaps l’Ancre Bleue in St Florent, boasting a scenic mountainous backdrop and a wonderfully spacious and stylish interior. If this isn’t enough to tempt you, view our full range of properties departing from Gatwick airport. We’re proud to be able to offer charter flights from Stansted directly into Calvi with Titan Airways, which is exclusive to Corsican Places, and the only direct flight to Calvi from London. Calvi and la Balagne is Corsica’s most popular region, and for good reason. Gorgeous beaches, plenty of shops and restaurants and its mix of the rustic and rural make for an unforgettable holiday experience. 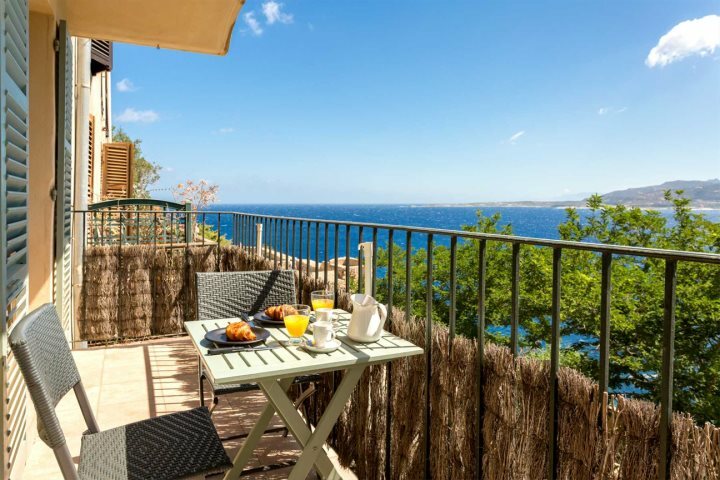 To get a great flavour of what Calvi has to offer, a holiday at Studio Castille in the heart of the historic Citadel is well worth a peek. This studio apartment is part of one of the age-old houses in the Citadel, and boasts some magnificent views over the bay. It’s modern and spacious inside, with a small balcony perfect for a pre-dinner aperitif or al fresco breakfast. If you want to know more about a holiday to Corsica from Stansted, see our full range of accommodation. The south of Corsica is becoming increasingly popular due to its Caribbean-like beaches, beautiful fortress towns and intriguing history. Offering direct charter flights from London Heathrow to Figari pops guests right in the centre of the southern region, so you can easily reach the likes of Porto Vecchio and Bonifacio, and all the beaches and mountains in between. 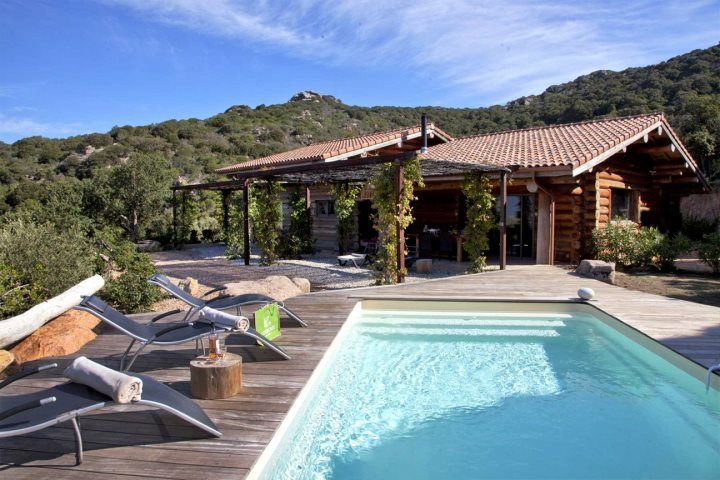 One of our favourite properties which is close to Figari is Casa Laricciu – a beautiful three-bedroom log house hideaway above Figari village. Panoramic mountain views and a wonderfully rustic and rural ambience await during a stay here. If you want to know more about the types of properties we offer flying from London Heathrow, see our full range of accommodation.